Disney Junior has ordered two new animated series, “Vampirina,” executive-produced by “Doc McStuffins” creator Chris Nee, and “Puppy Dog Tails,” created by comedian Harland Williams. Both series have begun production and are slated to premiere in 2017. Disney Junior, which includes a daily programming block on Disney Channel and a 24-hour channel, #1 among all preschooler networks in Total Day, Kids 2-5, Girls 2-5 and Women 18-49 for three consecutive years, has also ordered second seasons of its hit animated series “The Lion Guard” and “Goldie & Bear.” The announcement was made today by Nancy Kanter, executive vice president, Original Programming and general manager, Disney Junior Worldwide. 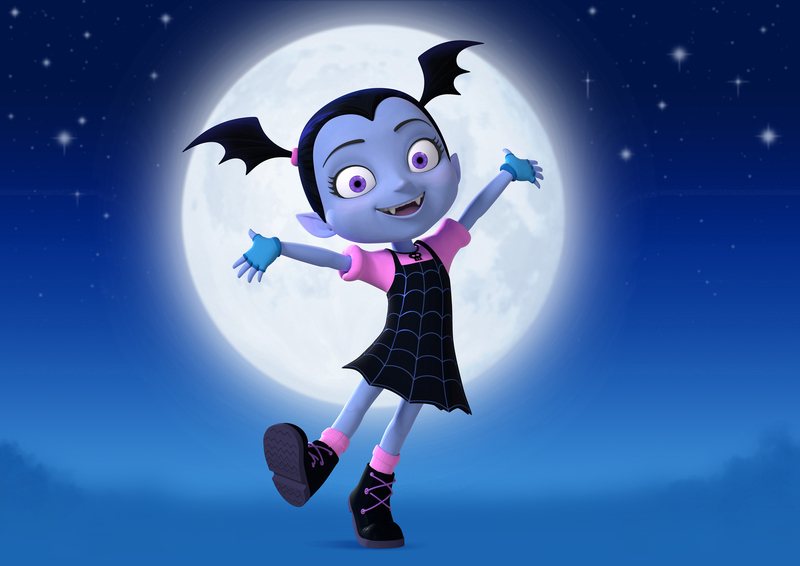 “Vampirina,” inspired by Disney Publishing’s popular children’s book series “Vampirina Ballerina,” tells the story of a young vampire girl who faces the joys and trials of being the new kid in town when her family moves from Transylvania to Pennsylvania. Many of the key creative professionals behind Disney Junior’s Peabody Award-winning series “Doc McStuffins” are at the helm, including executive producer Chris Nee and co-executive producer Norton Virgien. Nicky Phelan (“Granny O’Grimm’s Sleeping Beauty”) is directing the series, and the Academy Award-nominated animation studio Brown Bag Films is producing in association with Disney Junior. “Puppy Dog Tails,” created by comedian and actor Harland Williams, centers on two fun-loving pug puppies, Bingo and Rolly, whose thrill-seeking appetites take them on daily adventures around their neighborhood and beyond. Williams also serves as consulting producer with Sean Coyle (“The Awesomes,” “Mickey Mouse Clubhouse”) as executive producer and Dean Batali (“That ’70s Show”) as story editor. The series is a production of Wild Canary in association with Disney Junior. Disney Junior’s newest hit series “The Lion Guard,” continues the epic storytelling of “The Lion King” and follows the adventures of Kion, the second-born cub of Simba and Nala, and his diverse group of friends as they unite to protect the Pride Lands. The story of Kion and his friends was introduced in the animated television movie “The Lion Guard: Return of the Roar,” which premiered on Disney Channel in November 2015 and became the #1 primetime cable TV telecast of 2015 among Kids 2-5. “The Lion Guard” series premiered in January 2016 and, for the second consecutive month, ranked as the #1 series across preschooler networks in Total Viewers and key target preschoolers 2-5. In February 2016, the series placed among the month’s Top 10 series with Kids 2-5 across all cable TV networks for its airings on both Disney Junior and Disney Channel. Ford Riley (“Special Agent Oso”) is executive producer and Howy Parkins (“Jake and the Never Land Pirates”) is co-executive producer and supervising director. The Education and Science experts at Disney’s Animal Kingdom theme park serve as consultants and author and Swahili expert Sarah Mirza is the language and cultural advisor. “The Lion Guard” is a production of Disney Television Animation. “Goldie & Bear,” 2015’s #1 series across preschool networks, chronicles the adventures of best friends Goldie and Bear following the story of “Goldilocks and The Three Bears.” The series was developed for television and is co-executive produced by Jorge Aguirre (“Giants Beware!” graphic novel series); Chris Gilligan (“Frankenweenie”) is executive producer and director. “Goldie & Bear” is a production of Titmouse in association with Disney Junior. Disney Junior reflects the emotional connection generations of consumers have to Disney storytelling and Disney characters, both classic and contemporary. It invites mom and dad to join their child in the Disney experience of magical, musical and heartfelt stories and characters, while incorporating specific learning and development themes designed for kids age 2-7. 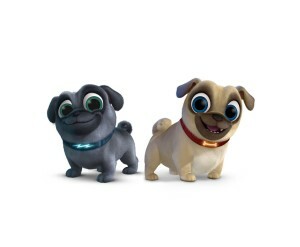 Disney Junior’s series blend Disney’s unparalleled storytelling and characters kids love deeply with learning, including early math, language skills, healthy eating and lifestyles, and social skills. In the U.S., Disney Junior is a daily programming block on Disney Channel and a 24-hour channel reaching over 74 million U.S. homes. In total, there are 35 Disney Junior channels in 27 languages around the world.